Like always, the recipient of the coveted Outstanding Women of Laurier award will certainly be nothing short of outstanding. Last week, the department of athletics and recreation at Wilfrid Laurier University announced the nominees for the 11th annual OWL award, given based on success on and off the field. It combines athletic achievement, academic excellence, an active commitment to leadership and the development of young athletes. This year’s nominees are Evie Fortier, who is on the women’s curling team, Suzanne Boroumand, who plays soccer and Jacky Normandeau, who is a member of both the women’s hockey and soccer teams. Fortier regards this award as prestigious and has attested that it is the “gold standard” of a Laurier athlete. As a star athlete herself, she has won three consecutive OUA championships with the curling team. Fortier also worked to grow the sport by volunteering her time at clinics at the K-W Granite Club, and is involved with Team Up Laurier. “It feels amazing, it is such an honour to be nominated. And to be among so many amazing women who are on the list and who have been nominated in the past,” said Fortier. Normandeau is highly involved in giving back to the community, as well as playing two time-consuming sports. She also runs the athlete study hall, which gets her involved with mentoring younger athletes and first years while also volunteering at Cedarbrae Public School. “I’m trying to give back to the community and get young children involved in sports,” she said. Boroumand has also had a stellar career as a Golden Hawk athlete. Some of her highlights include winning an Ontario University Athletics championship, claiming two silver medals and going to nationals three out of the four years that she’s been here. She contributes much of her athletic success to her team. “Most of my athletic achievements I want to give to my team because they have been there for the big things that I won. So this is definitely a huge highlight,” she said. The OWL award is not only a formal recognition of a job well done, but it is a fundraising event to support women’s athletics. 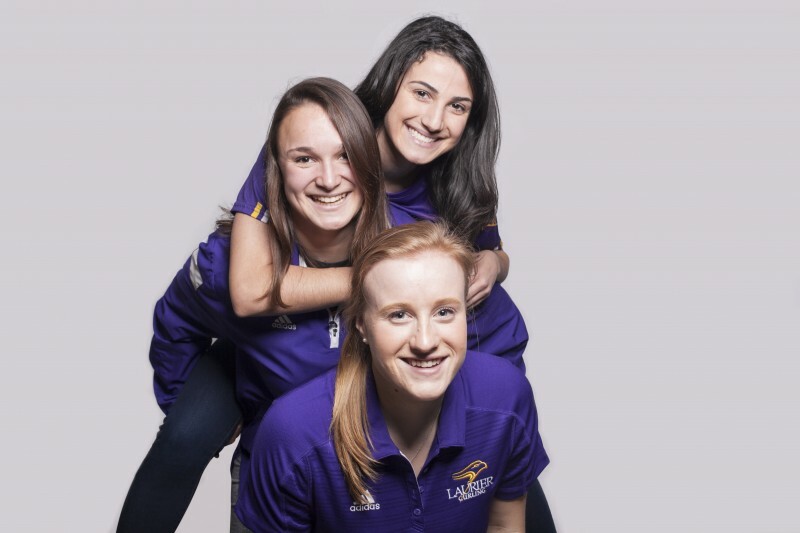 Since 2006, the OWL award and ceremony has raised over $300,000 of support for women’s athletics at Laurier. Fortier said this event is vital, not only for women’s athletics, but for Golden Hawk athletics as a whole.